Australian Superannuation funds, sometimes called “supers” for short, are in many ways the equivalent of qualified retirement plans here in the U.S. Employers and employees contribute pre-tax dollars (in some cases post-tax dollars, but this article is not intended as a primer on superannuation plans), and the funds accumulate tax-free. Unfortunately, they accumulate free from Australian tax, not U.S. tax. They must be reported on your Form 1040, and you must file a Foreign Bank Account Report (FBAR) on Form FinCEN 114, formerly known as TDF 90-22.1. 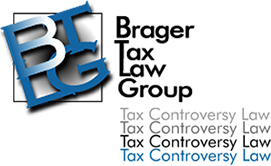 Failure to file the FBAR can result in criminal tax violations, and/or fines in excess of 50% of the balance in the super. Worse yet superannuation funds are organized as trusts. This means that they are subject to the reporting requirements of IRC Section 6048. So for example IRC Section 6048 provides that a responsible party must notify the service each time that a U.S person creates a foreign trust, transfers money to a foreign trust, or when a U.S. person dies if she owned a portion of the foreign trust. In addition, information about a distribution from a foreign trust must be reported to the IRS. Any U.S. person who is required to report must do so on Form 3520. Furthermore, under IRC Section 6048(b), a U.S. owner of a foreign trust is required to file Form 3520-A every year if not filed by the trustee. The tax penalties for failure to file are almost as bad as the penalties for the non-filing of FBARs. If a U.S. person fails to file the annual Form 3520-A a penalty is imposed under IRC Section 6677 of 5% each and every year for which the form isn’t filed. On top of that each time there is a deposit into the superannuation fund, or a withdrawal from the superannuation fund a penalty of 35% of the amount deposit or withdrawn is subject to the penalty. These penalties can only be excused if the taxpayer can demonstrate “reasonable cause for failure to file the forms. There is no statute of limitations on the failure to file the Form 3520, or 3520-A. The IRS may impose these penalties at any time, even many years later. Let’s take a simple example. Let’s assume that you makes a contribution of $40,000 each year from 2000 to 2012 to a superannuation fund, and don’t file the appropriate paperwork. Then in 2013 after the total in the account has climbed to $750,000 you draw it all out. Each year you will be subject to a penalty of 35% of the $40,000 contribution ($14,000) for failure to file the Form 3520, plus 5% of the total balance in the account each year. On top of that there would be a penalty of 35% on the withdrawal ($262,500). That doesn’t even include the taxes that would be due each year on the income; throw in a 20% accuracy penalty under IRC Section 6662, and the penalties will more than wipe out the account. Owners of superannuation funds may wish to consider entering either the IRS Offshore Voluntary Disclosure Program (OVDP), or the Streamlined Filing Programs.